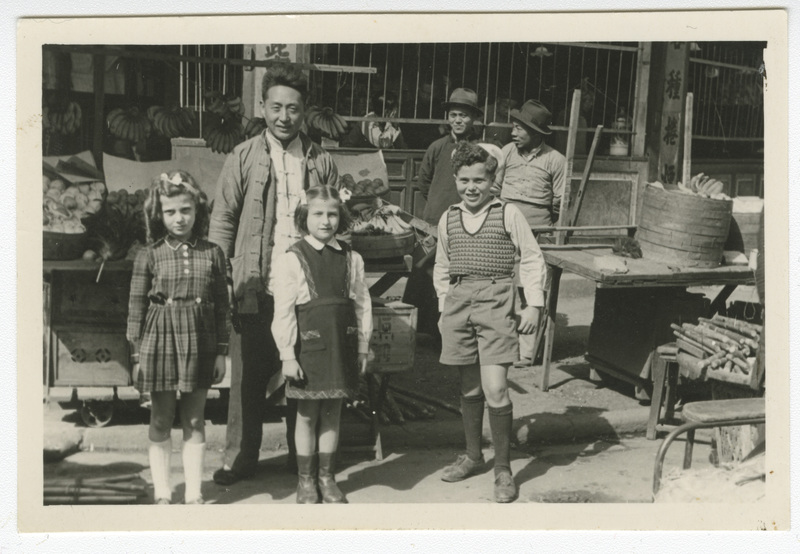 In this photograph, children Vera Voticky, Eva Kanturek and Milan Voticky stand in a local market in Shanghai. One Chinese man accompanies them and two men wearing fedora hats stand in the back. Fruit and vegetables are displayed on tables behind them. 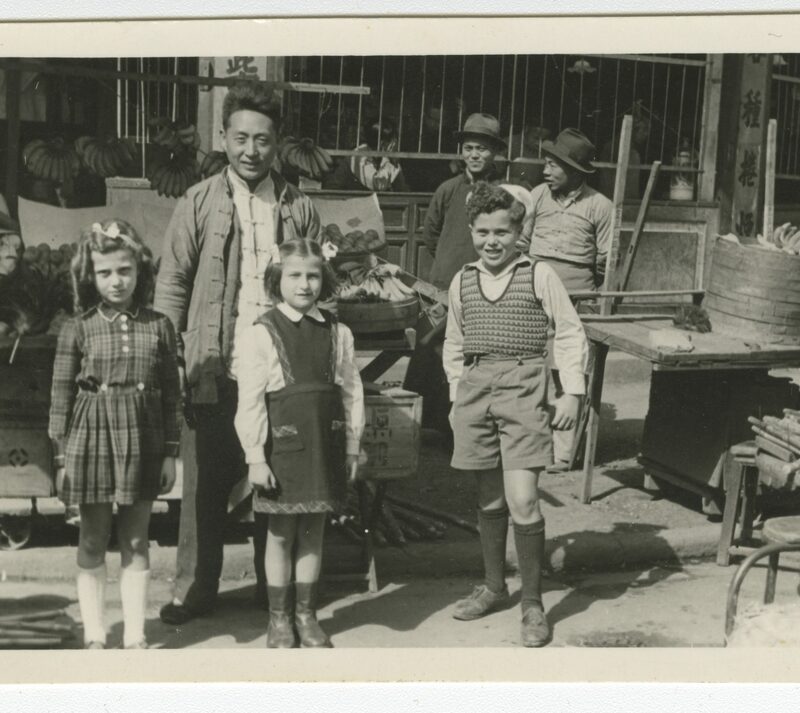 Photograph of the children Vera Voticky, Eva Kanturek and Milan Voticky stand in a local market in Shanghai. 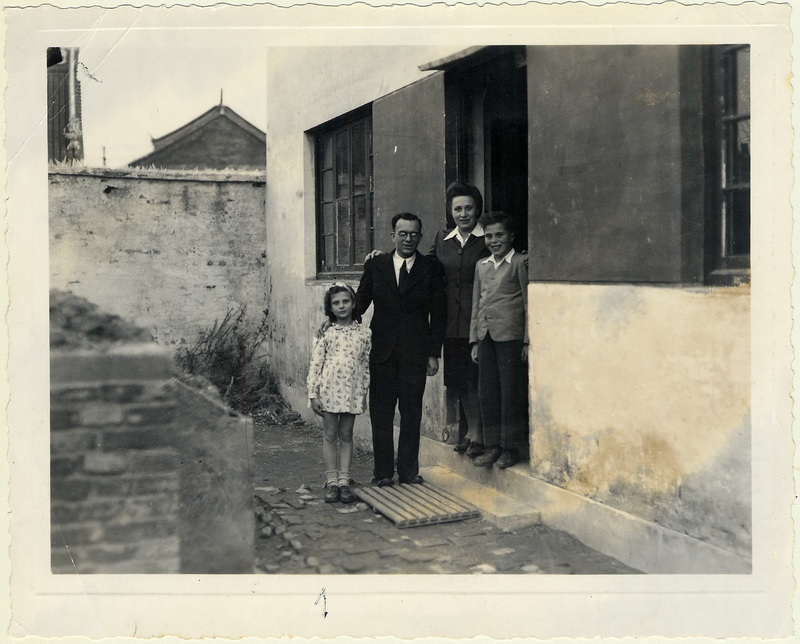 The Voticky family in Shanghai in 1945. Anka and Arnold Voticky and their two children arrived in Shanghai in 1940. 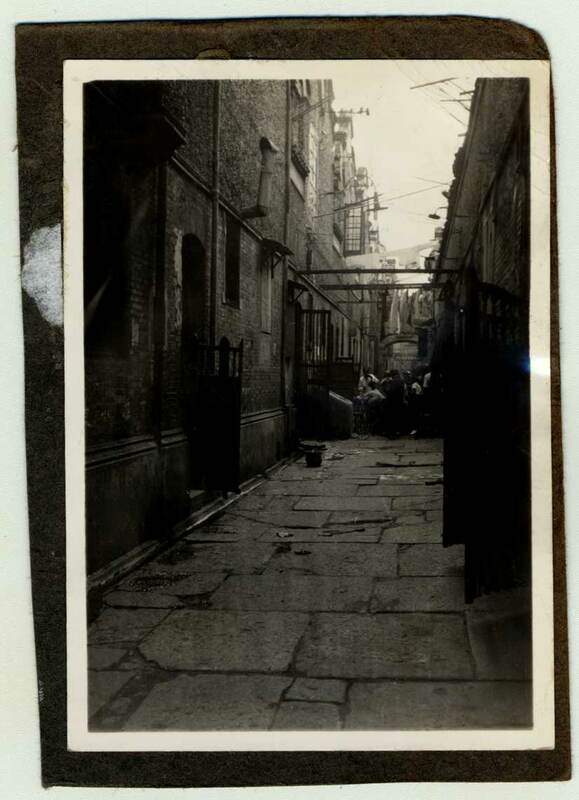 An alley in the restricted area for Jews, also known as Shanghai’s “Jewish ghetto”. 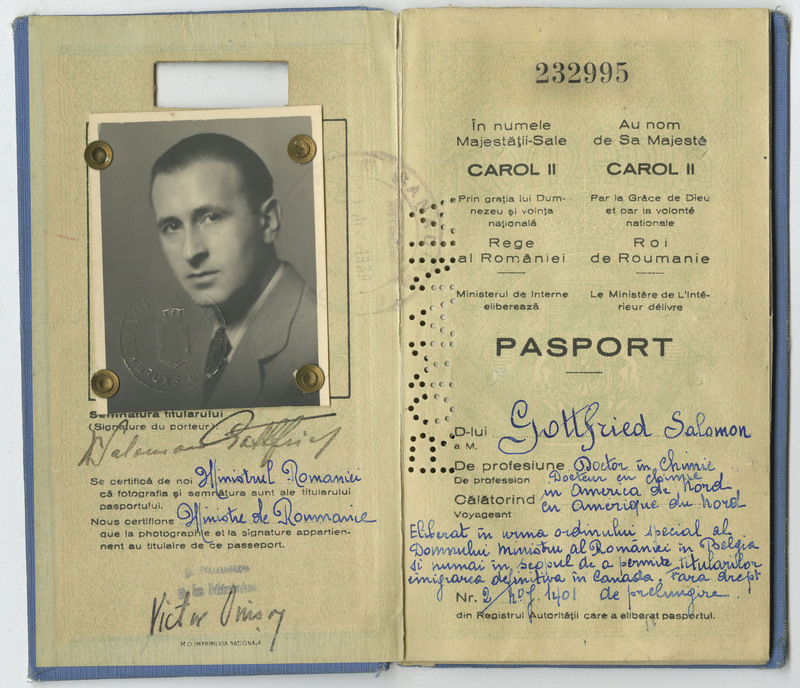 Anka and Arnold Voticky and their two children arrived in Shanghai on the SS Conte Rosso on May 10, 1940. Their friends and family, the Winters and the Kantureks, travelled with them. 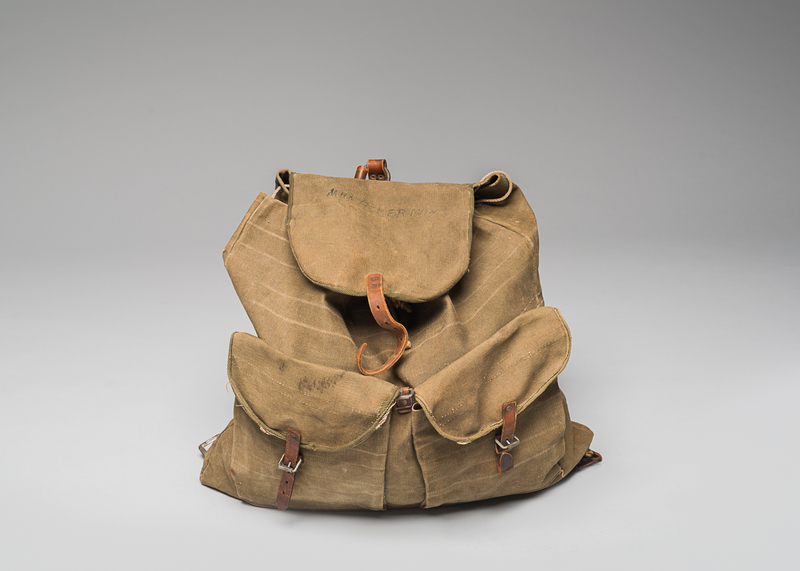 The Voticky family first attempted to obtain visas from the United States and Great Britain, but they were rejected. Like them, more than 18,000 European Jews then decided to flee to Shanghai because it was one of the few places that did not require a fee for an entry visa. 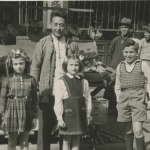 In Shanghai, a restricted area for Jews was created in the Hongkou neighbourhood where the Voticky family settled. 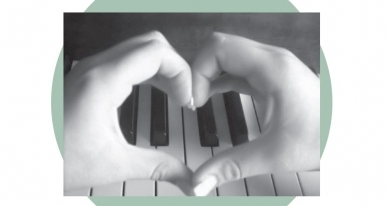 Anka Voticky donated this photograph to the Montreal Holocaust Museum in 2000.